Variety is the spice of life, but sometimes you travel the same place twice. 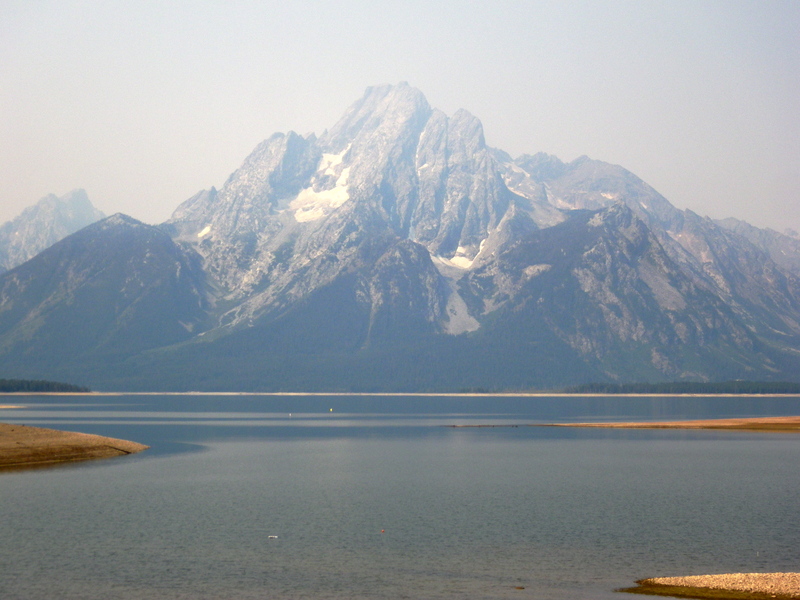 My family loves Grand Teton National Park and Jackson Lake Lodge. We visited there in 2007 and had our first encounters with elk, moose and bison, as well as drank in the lodge view daily with awe. 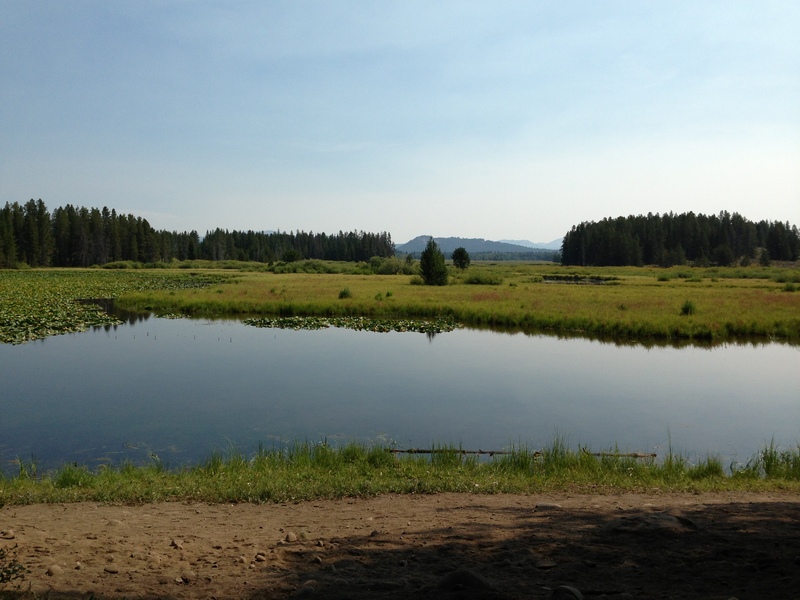 It is still just as majestic a view, even if we are much more familiar with wildlife now. We had to visit one more time and really soak it all in. 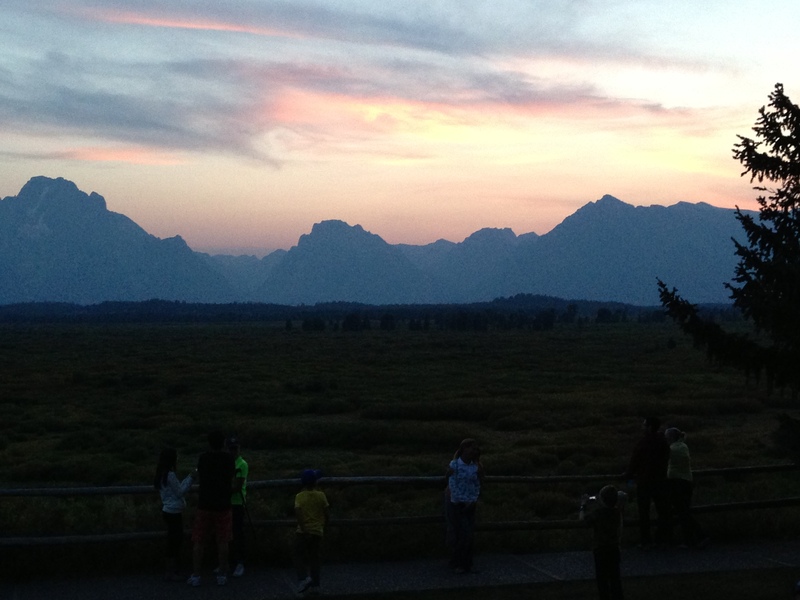 Our trip was full of watching mountain sunsets, searching for wildlife, river rafting and hiking. 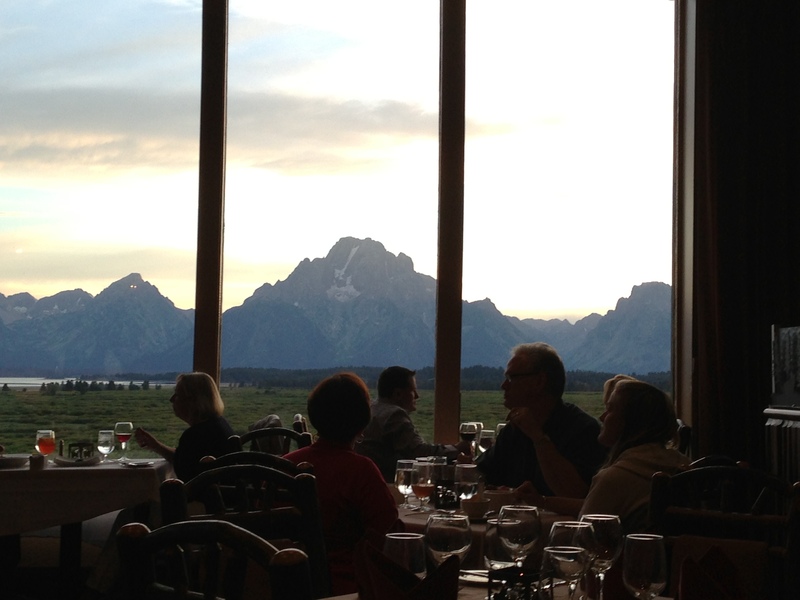 The view from dinner at the lodge. 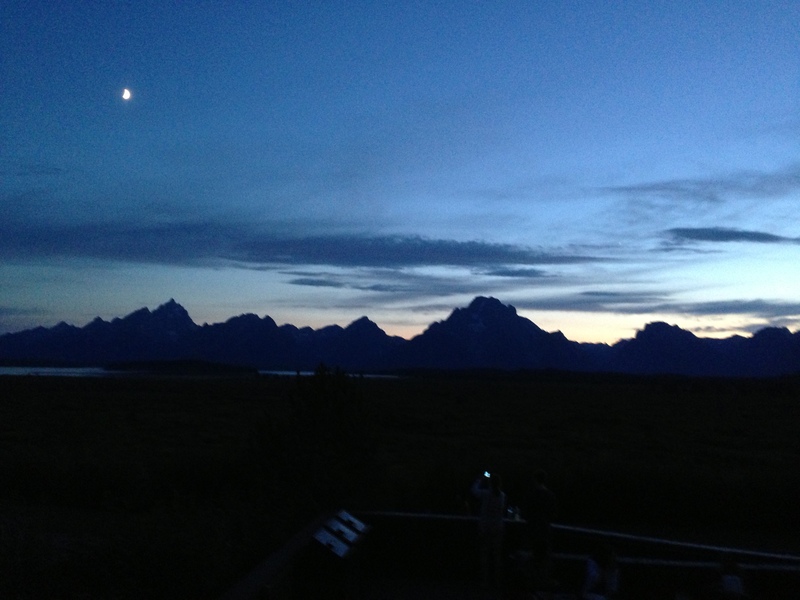 Dusk with the view of the Grand Teton Mountains from our lodge. 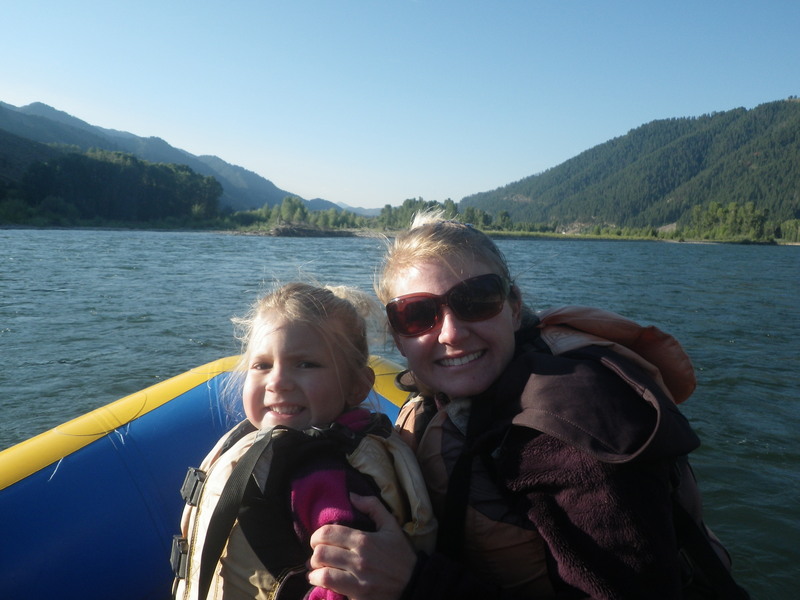 Julie and Lydia rafting on the Snake River. 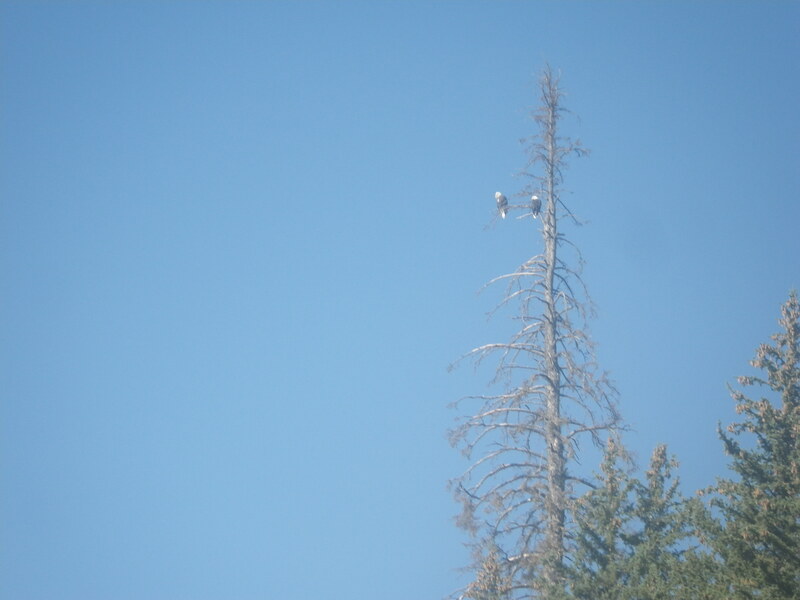 There were tons of Bald Eagles we saw rafting along the Snake River. 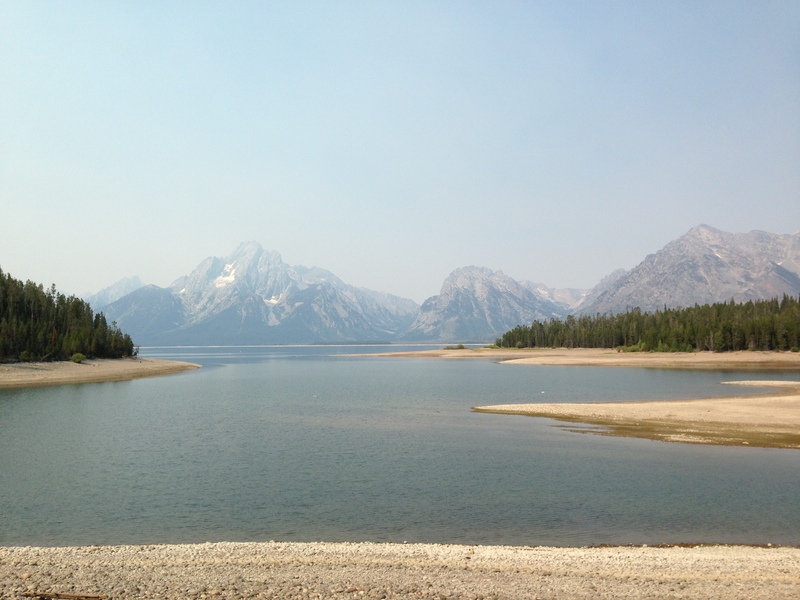 Rafting down the Snake River in Grand Teton National Park. 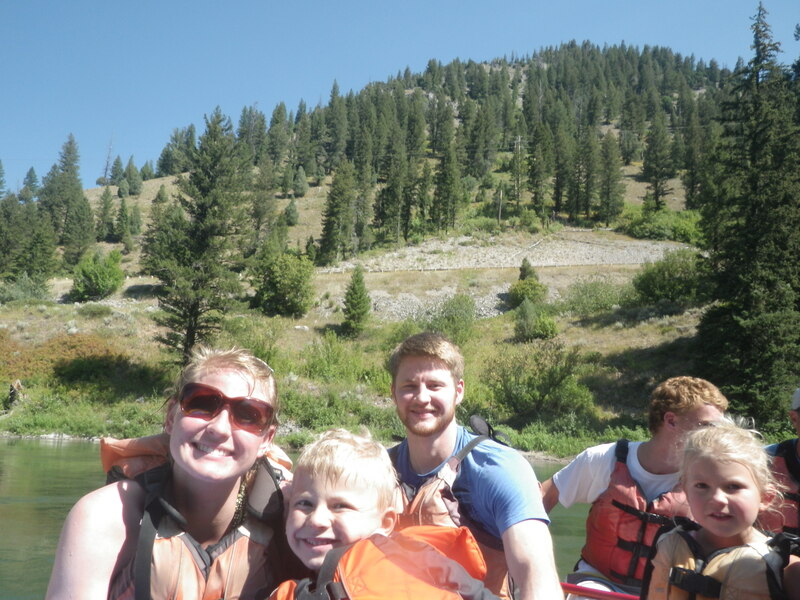 Part of our group, Julie, Caleb, Lydia and Greg, rafting down the Snake River. 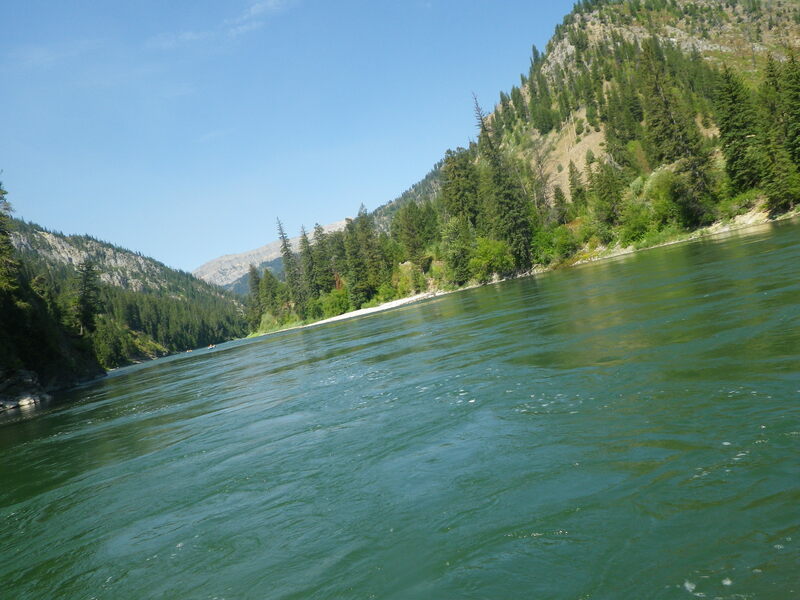 Rafting on the Snake River. 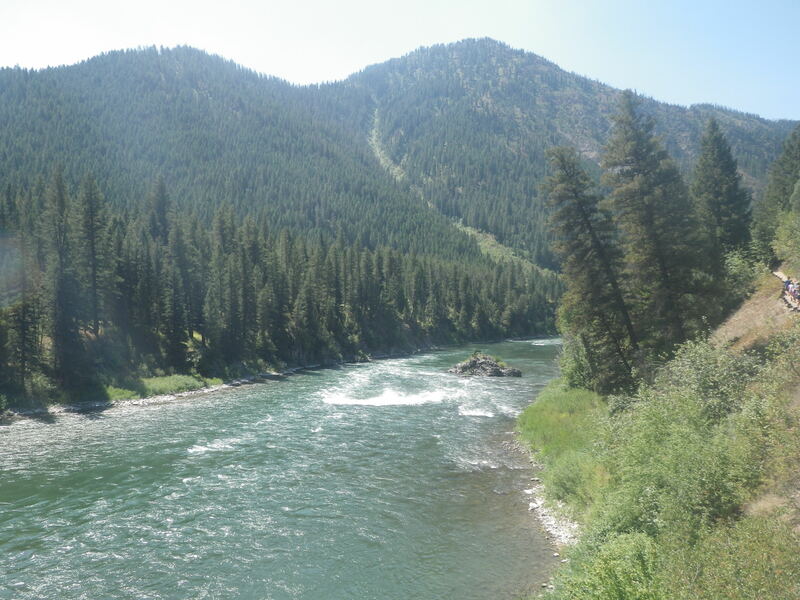 After white water rafting, we climbed up to this view. 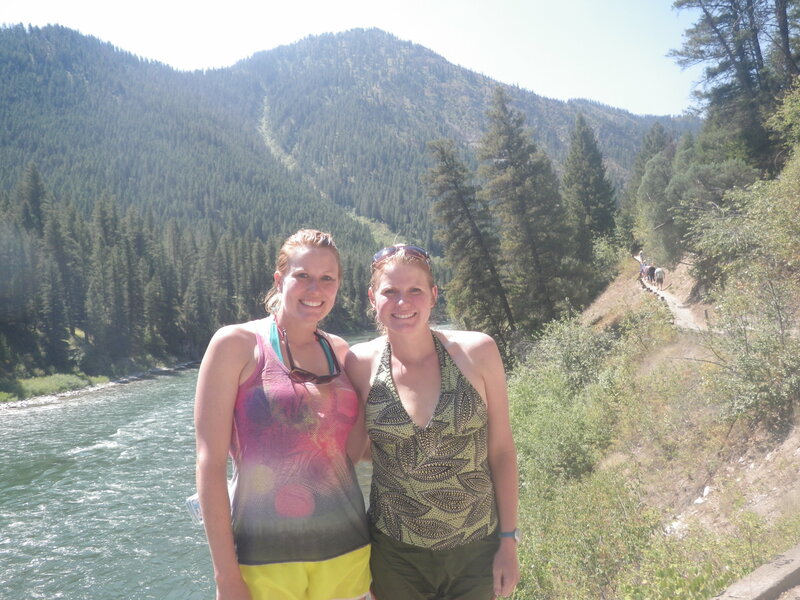 My sister and me after rafting. 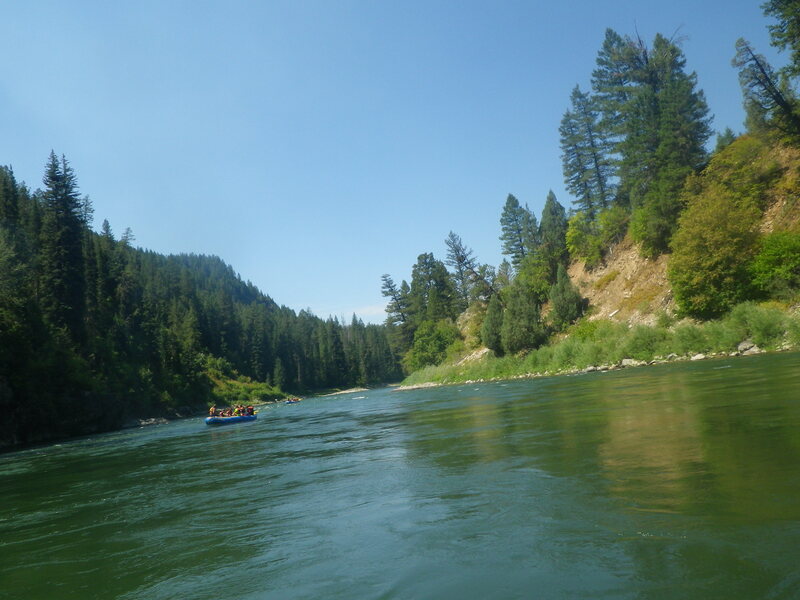 We were on the front of the raft, so we got soaked. 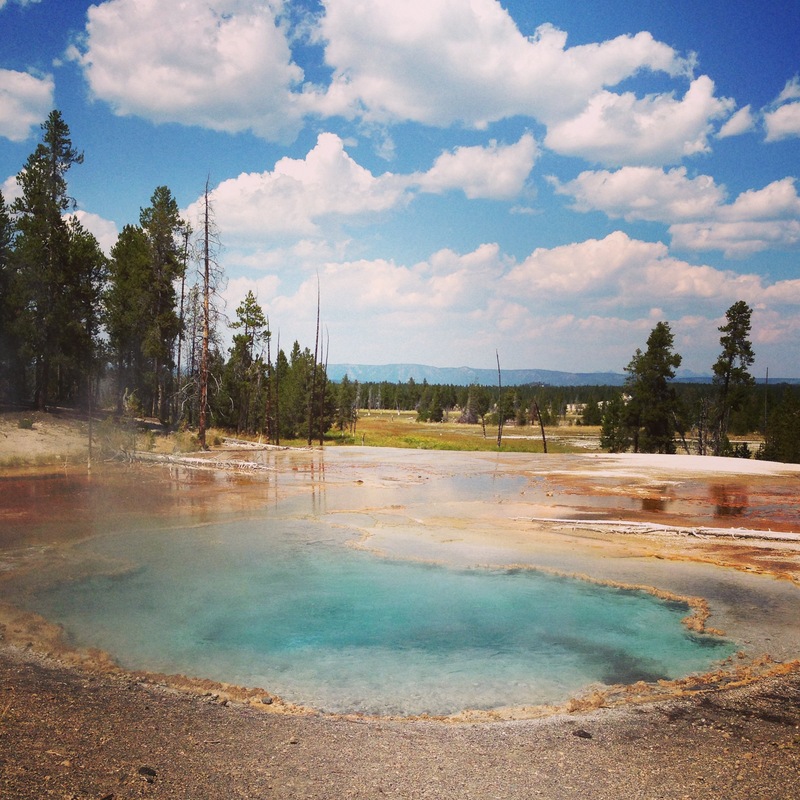 A beautiful steaming pool at Yellowstone National Park. 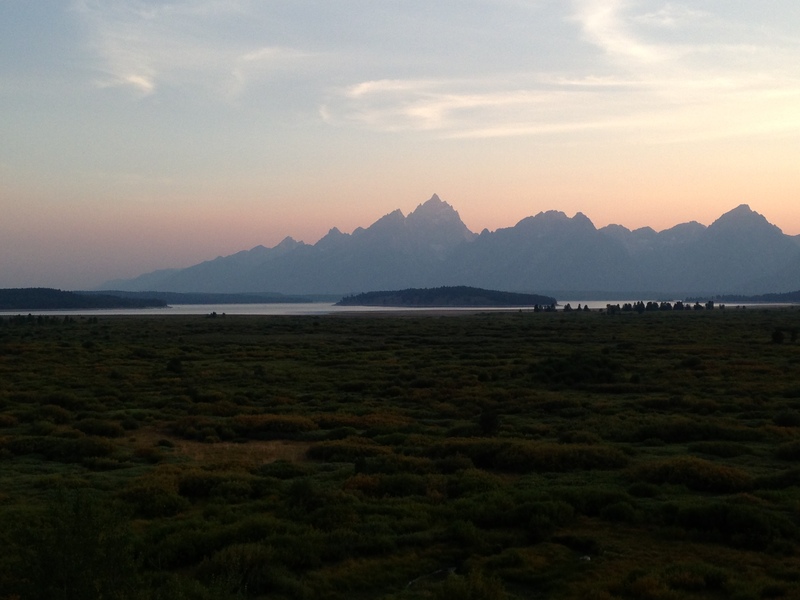 Sunset view of the Grand Tetons from our lodge. Another view of the same sunset. 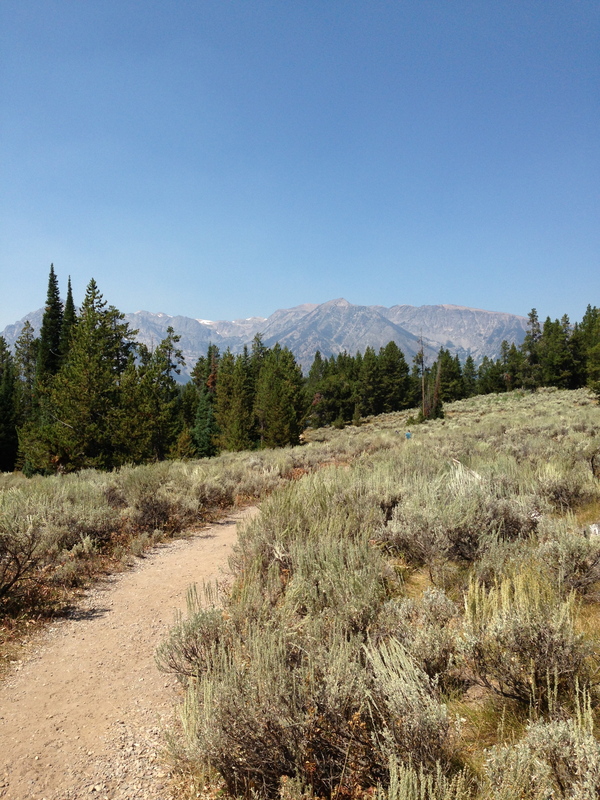 Hiking near Jackson Lake with an amazing mountain view. 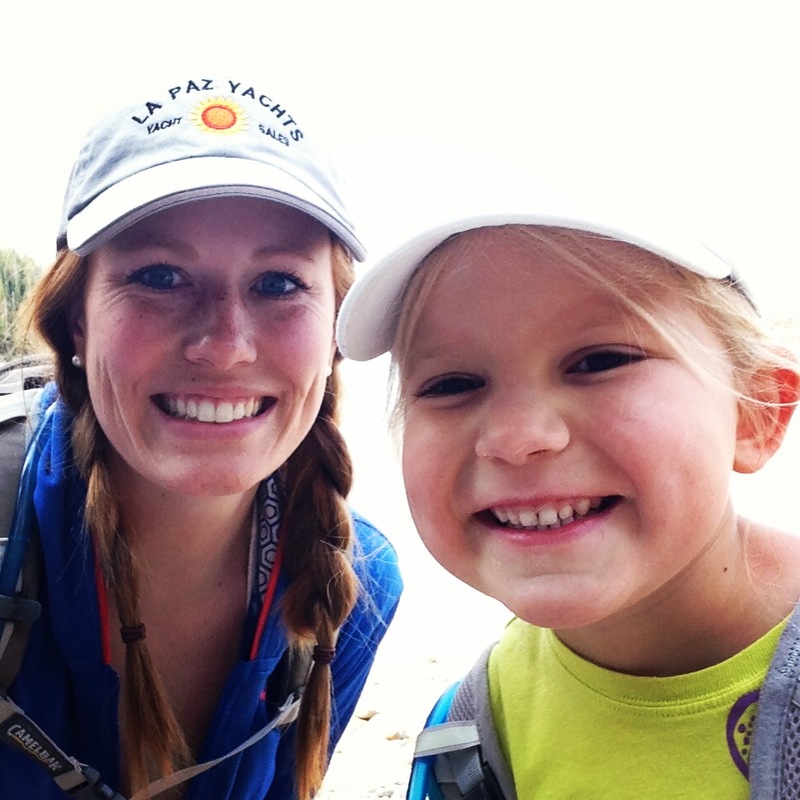 Me and Lydia on a hike near Jackson Lake. 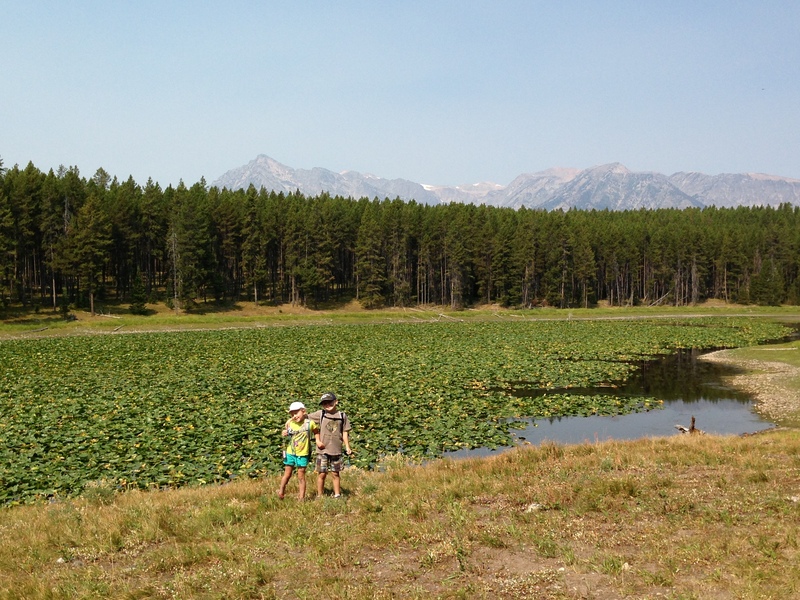 My niece and nephew, Lydia and Caleb, enjoying the lily pad lake view. 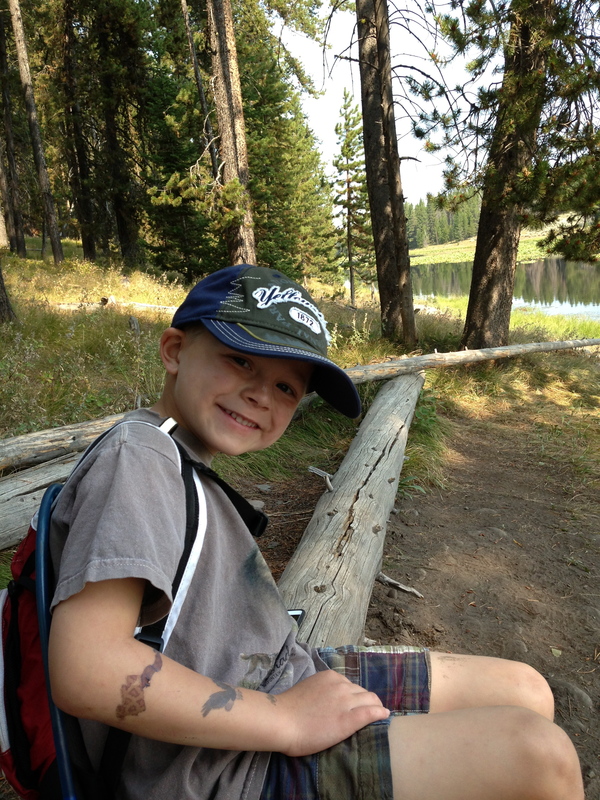 We stopped for a picnic, Caleb sat next to me. 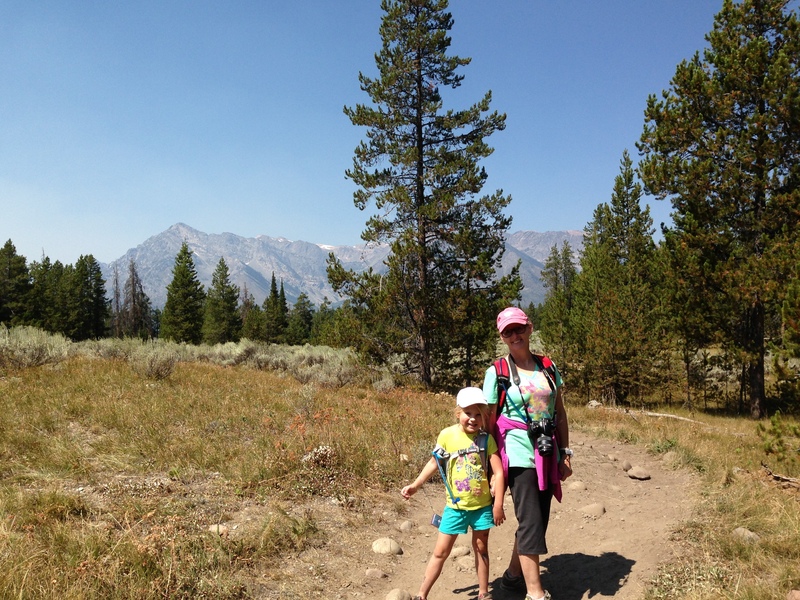 My mom and niece enjoying the hike. 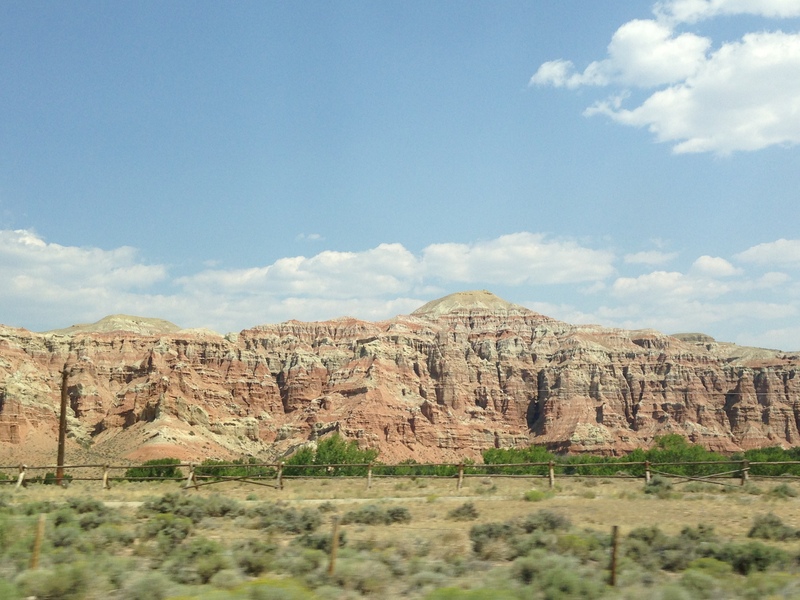 The mountains changed on the drive home in Wyoming.